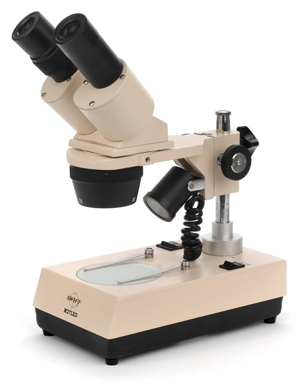 The same microscope you will find at most high schools. The microscope offers three magnifications, 10X, 20X, and 30X. Included are ten prepared slides for you to view.